Do you like to visit Tuscany and you don’t want to stay for a full week in the same property? With this holiday package you can stay for 3 nights in a farmhouse in Cortona and 3 nights in a farmhouse in Chianti and you will have the opportunity to visit the most beautiful and charming places in Tuscany. 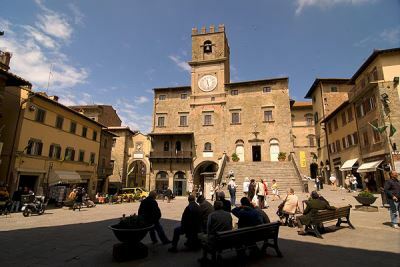 - Arezzo, a beautiful city to discover and where Roberto Benigni has filmed the Oscar-winning film "La Vita è Bella". - Montepulciano, where you can taste the renowned Nobile di Montepulciano wine. - Chianti, ideal for enjoying the renowned classic Chianti wine, and admiring one of the most beautiful landscapes in the world. - Certaldo, a characteristic medieval village where Giovanni Boccaccio was born, renowned Italian writer. - Volterra, a beautiful town full of history, monuments and museums, and homeland of the alabaster with which real works of art are realized. On request, it is possible to extend your stay for one or more nights.